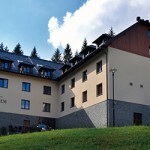 Hotel is located in a calm environment of the Protected Landscape Area Beskids, close to the nature monument Kyčmol and the National natural reservation Mionší. Staying with us will make you forget the rush of everyday, slide into dreaming and have yourself treated regardless of the weather outside. 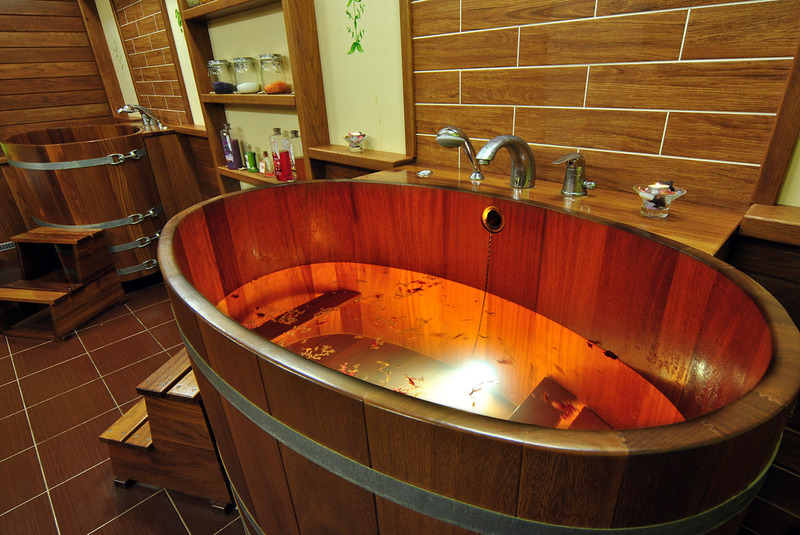 The Wellness Hotel “Pod Kyčmolem” offers accommodation in the heart of Beskids in modern, well-equipped and mostly single or double rooms or apartments with an extra bed option. Our rooms deliver a four-star standard. All rooms have a private bathroom and are equipped with satellite TV, minibar, Internet, room safe and a phone. Our hotel is open to guests with impaired mobility. We have four star rooms with room accessories adapted for people with impaired mobility. 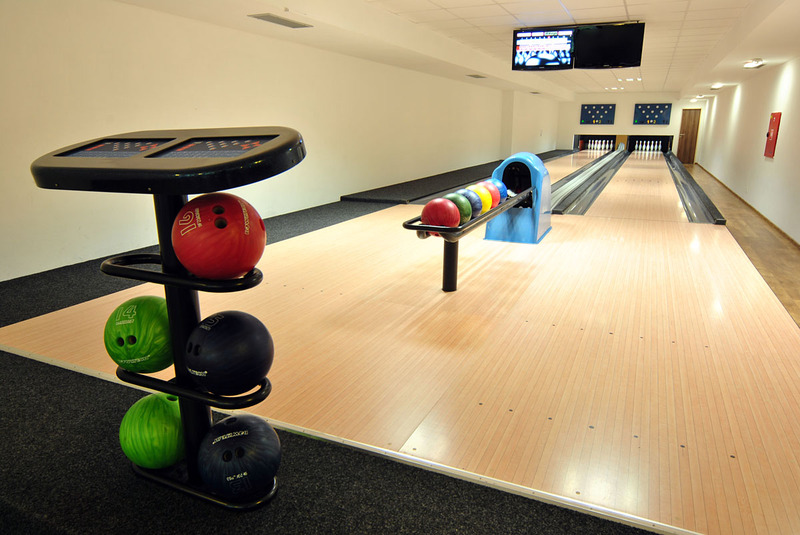 All public areas of the hotel, including the hotel wellness, are fully accessible. Our rooms, as well as the whole hotel, are non-smoking. 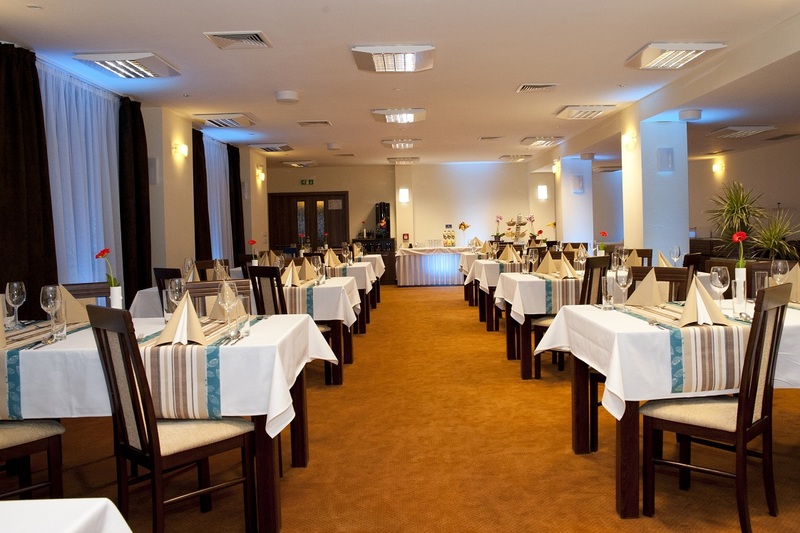 Wellness Hotel “Pod Kyčmolem” offers premises which are ideal for various company events. 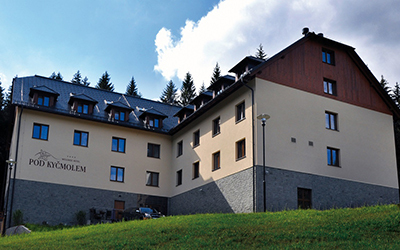 Organize your business meetings, assemblies, conferences, banquets, training and workshops in the pleasant environment of the Beskids. We offer a conference hall with capacity up to 80 persons depending on floor setup, with corresponding technical equipment, one meeting room with 12 person capacity and a new training room with capacity up to 45 persons. The pleasant and calm environment of our hotel, surrounded by forests and mountains, offers also a broad range of wellness and beauty services, cosmetic services, manicure and pedicure. 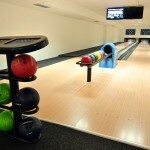 Lovers of active forms of relaxation can enjoy well equipped hotel fitness or bowling. 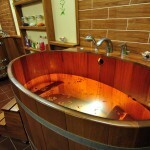 These services are offered not only to the accommodated guests, but also to the public. The wellness center is accessible for moving impaired. Get inspired by our wellness menu and we are sure that we have something to offer to everyone. 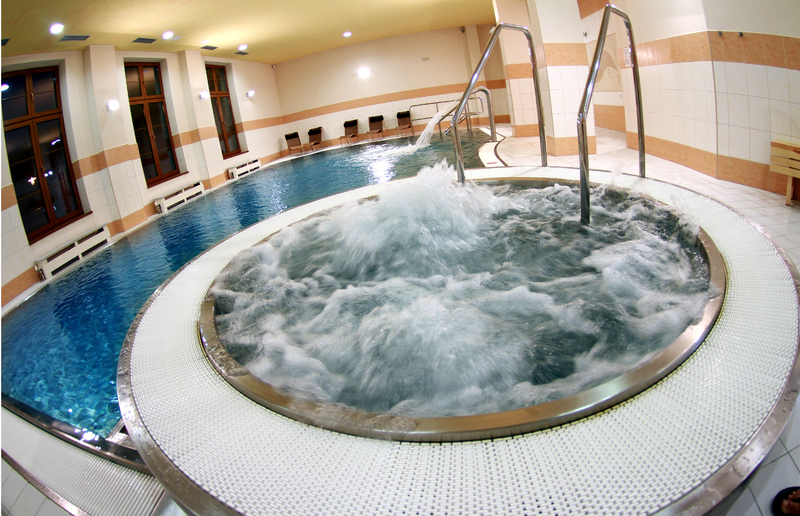 The hotel swimming pool with a fountain and massage jets invites you to immerse into the clear water and enjoy all its benefits which will relax your body and strengthen your cardiovascular system. 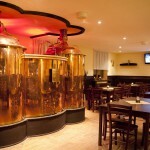 Cuisine: the excellent beer from our private microbrewery. 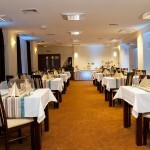 Cuisine: A stylish restaurant aligned with the interior design of the hotel is the main catering facility of the hotel. 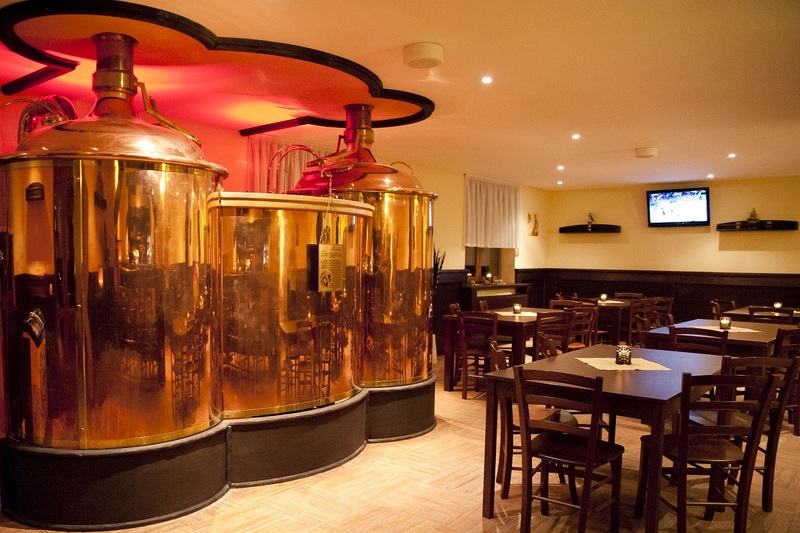 It will certainly impress you with its excellent cuisine. We focus on preparing our food from high quality ingredients. We try to keep the high level of the gastronomy of the Beskids. We would love to see every guest leaving satisfied. Buffet breakfast is provided for the accommodated guests. We are ready to serve you a wide variety of meals and drinks from our rich menu during the day. Don’t miss the opportunity to taste our culinary specials.